While these guidelines should be effective in reducing the risk of goal-related injuries, they should not be construed as the only methods to minimize injuries associated with soccer goals. Please contact our Dir. of Youth Protection & Direc. of Facilites at if you have questions or would like additional information on this subject. 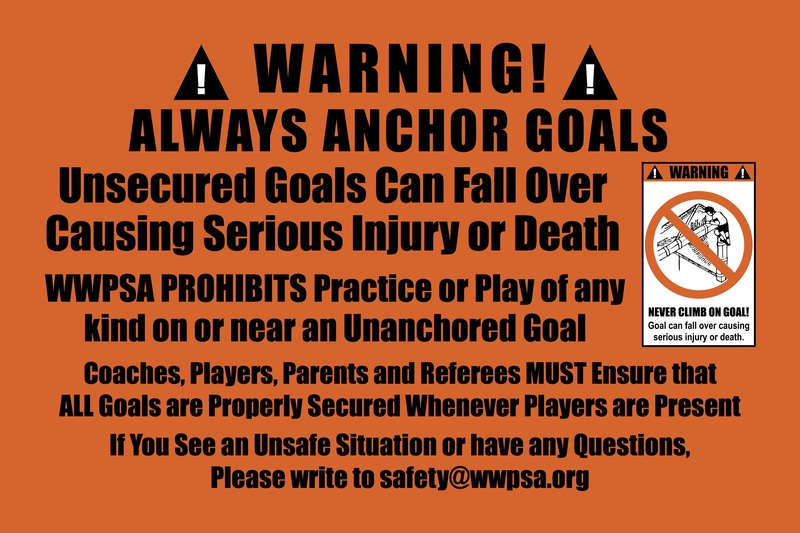 Every WWPSA Goal shall have a WWPSA Goal Safety Sign attached to it, and atleast one sign at the entrance/exit of every field location.